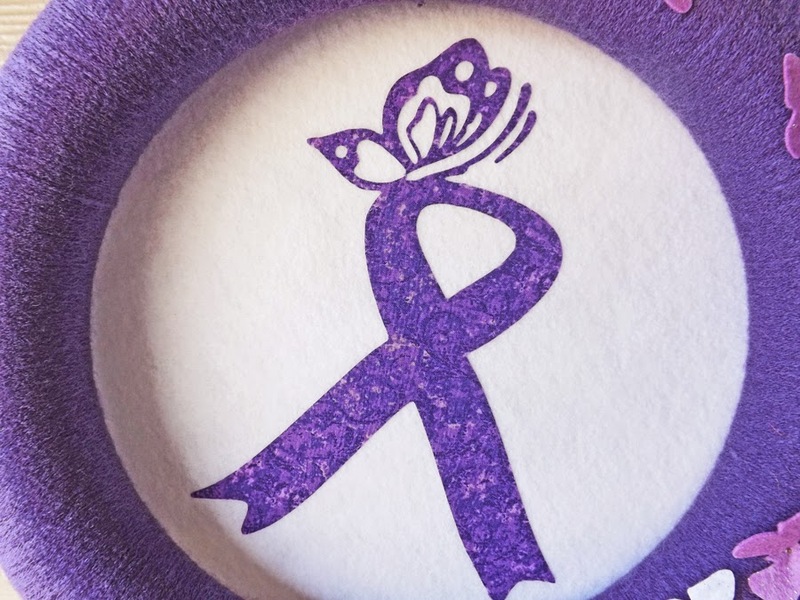 May is Lupus Awareness Month. 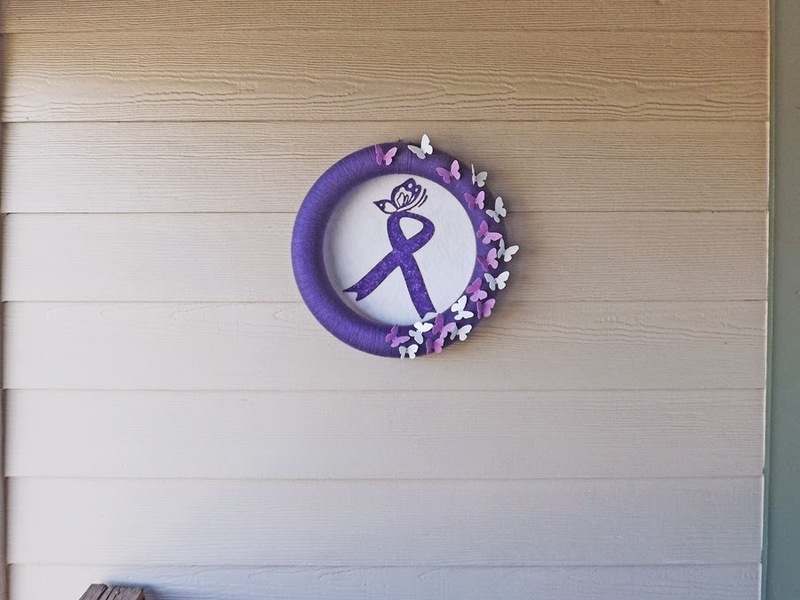 My sister-in-law was diagnosed with Lupus several years ago and requested that I make this wreath. 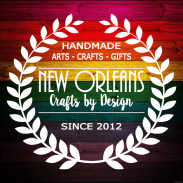 So to show my support and help to spread awareness I happily obliged. 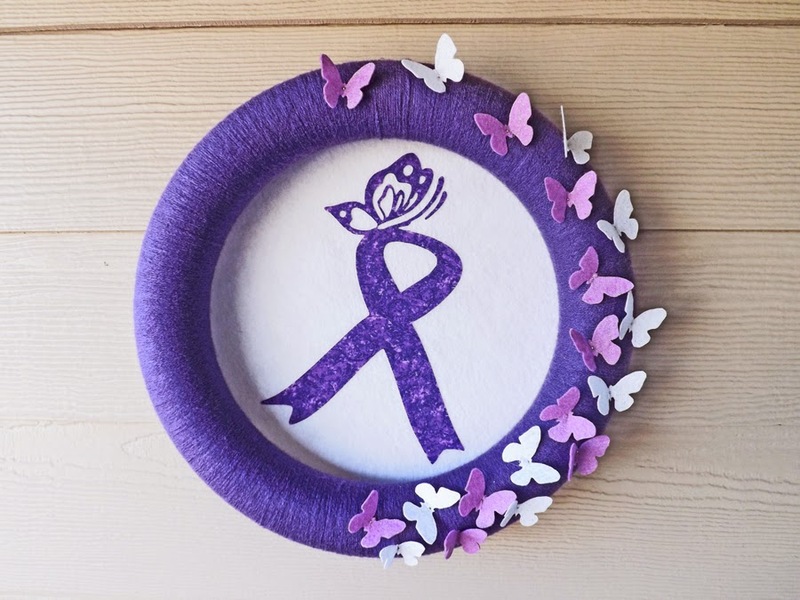 I used a 14" styrofoam wreath that I wrapped with purple yarn, the color of the Lupus Awareness Ribbon. 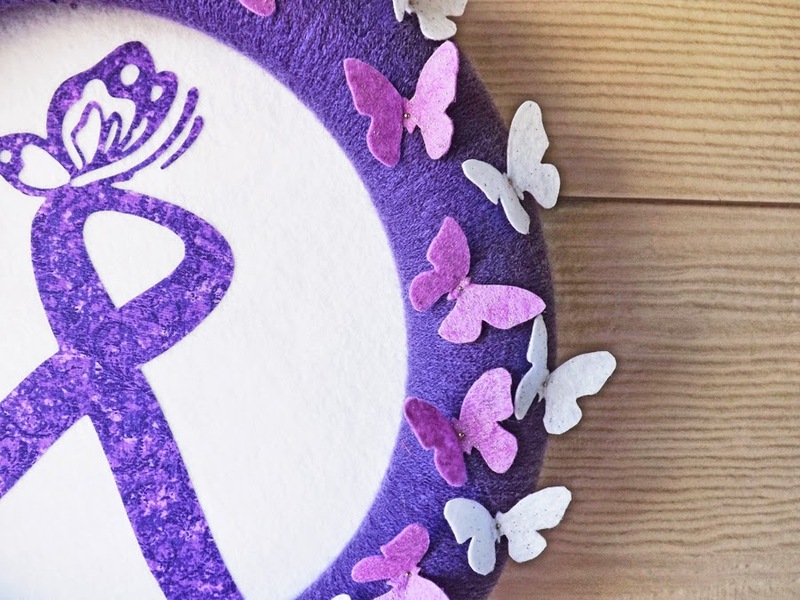 I created the ribbon pattern with my Silhouette and cut the design out of a complimentary purple fabric and attached to a large piece of white felt. I then attached the white felt to the back of the wreath. 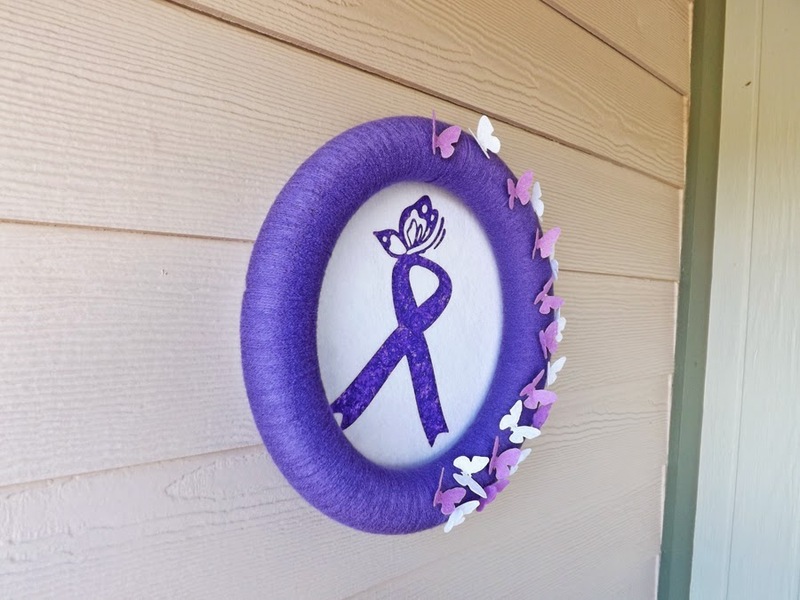 I wanted to add a little more to the wreath so I hand traced and cut 20 small butterflies from white and purple felt and attached to the perimeter of the wreath. 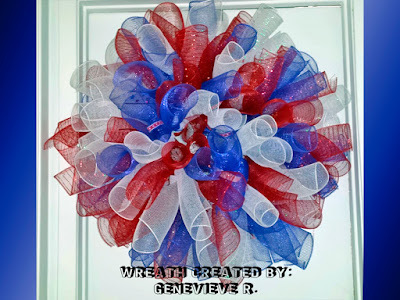 I absolutely love the way this wreath turned out and my sister-in-law loves it and will proudly display it in her home.